With a diverse group of experienced executives, philanthropists, and community leaders, Park City Community Foundation’s Board of Directors provides knowledge and insight critical to solving our community’s deepest needs. With our deep community knowledge and nonprofit expertise, we connect donors to organizations that are making a real difference in the greater Park City area. Bill Rock is an executive, philanthropist, and community leader who has served on our board of directors since 2015. Professionally, Bill is Chief Operating Officer of Park City Mountain Resort (PCMR) and Vice President of Vail Resorts. Q: Tell us about yourself and how you discovered Park City? A: I grew up in a small town in western New York called Naples. It is situated near the Finger Lakes and about an hour south of Lake Ontario. I received a Bachelor’s degree from Clemson University in 1987, and since then I have spent 23 years in the ski industry. Prior to becoming COO of PCMR, I served as COO of Northstar Resort in Lake Tahoe, including oversight of Heavenly and Kirkwood. I have also held positions at Stratton, Vermont; Snowshoe, West Virginia; and Durango, Colorado, among others. 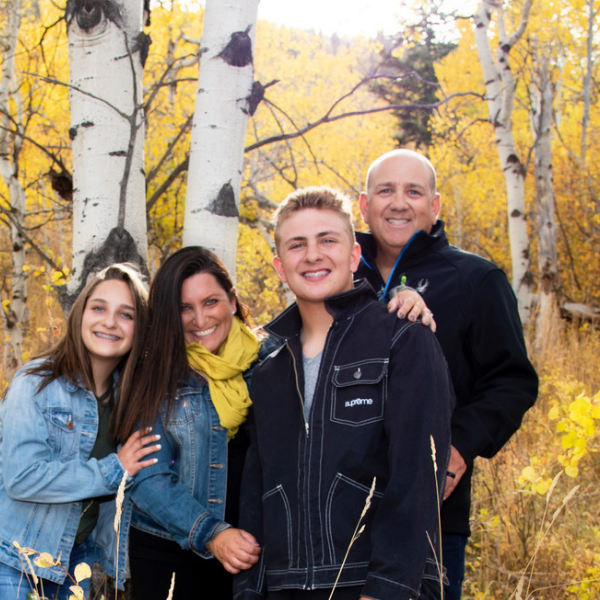 After living in Lake Tahoe for three years, Vail asked me to take over as COO of Park City Mountain Resort in 2014, so I moved here with my wife Jennifer and our kids Tyler and Paige. Q: How are you able to fit giving into your life here? A: Jennifer and I always like to get involved with the community that we live in. While living in California I served on the Board of Directors at the Tahoe Forest Hospital Foundation and the Tahoe Fund, and while living in West Virginia I served on the Board for the Snowshoe Foundation. I am consistently inspired by the nonprofits in Park City and by the people who serve on the Community Foundation board. Q: Why did you decide to join our Board of Directors? A: As a member of the Board of Directors at the Community Foundation, I can be involved in many different initiatives that are underway from our community nonprofits. We found that the Community Foundation has such insight and impact on the local needs in Park City, with the ability to develop and implement creative solutions to those problems. We love this community. There are so many nonprofits making an impact, and I’m happy to be involved with the Community Foundation, who have the ability to support so many different initiatives. Q: How would you spend your perfect Park City day? A: I would start out my day early by working out with my personal trainer, followed by booting up with my family to go skiing. On a perfect day I would have lunch at the Mid-Mountain Lodge, powder turns in Jupiter Bowl, and ski until the lifts close. We really enjoy the easy access to outdoor recreation in Park City. Our favorite place to go to dinner following a big day of skiing is the Riverhorse. Q: What is it about the Community Foundation that you love? A: This foundation is not afraid to lead. Not only does it support other nonprofits but it has moved into a convening role, as well as into a leadership position in our community on Social Equity. Among addressing many other issues, they have really helped accelerate growth for many nonprofits in our community. By supporting the Community Foundation I am helping many other nonprofits that are essential to Park City’s well being. That family is such a gift to Park City! ALWAYS kind and approachable. A true asset to this community. Amazing kids who are nothing but kind and respective. Bill supports the Egyptian Theatre and is always available to us. We are very grateful for his generosity.